I had a wonderful birthday! 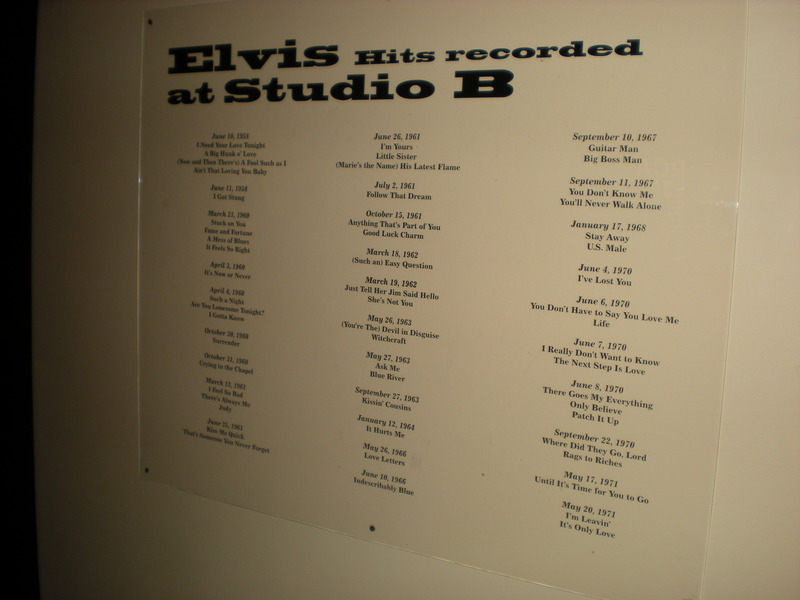 I spent the first half of it still in Nashville touring the Country Music Hall of Fame and Museum and RCA Studio B. I had been to the Country Music Hall of Fame about 8 years ago, but never to Studio B. RCA Studio B is where Elvis recorded about half of his songs. 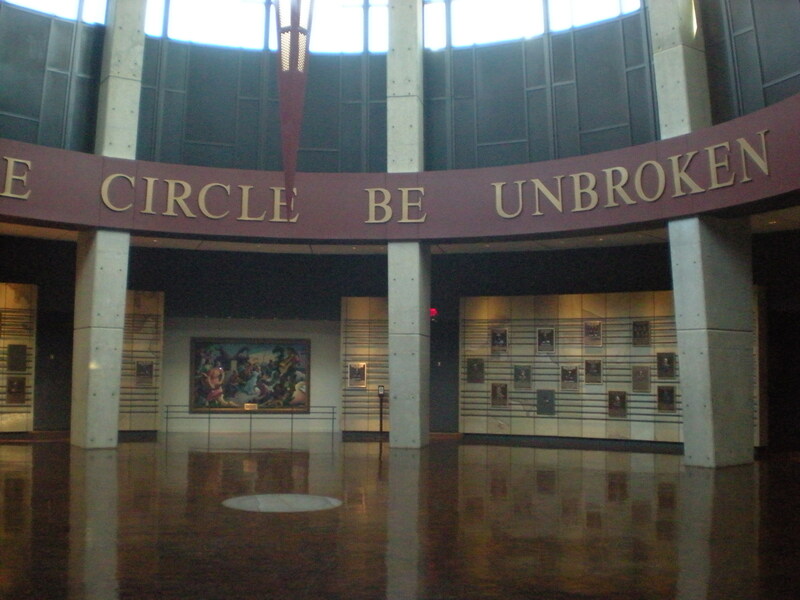 I arrived at the Country Music Hall of Fame just before 9:30am. I toured it rather quickly, since I had been through before. 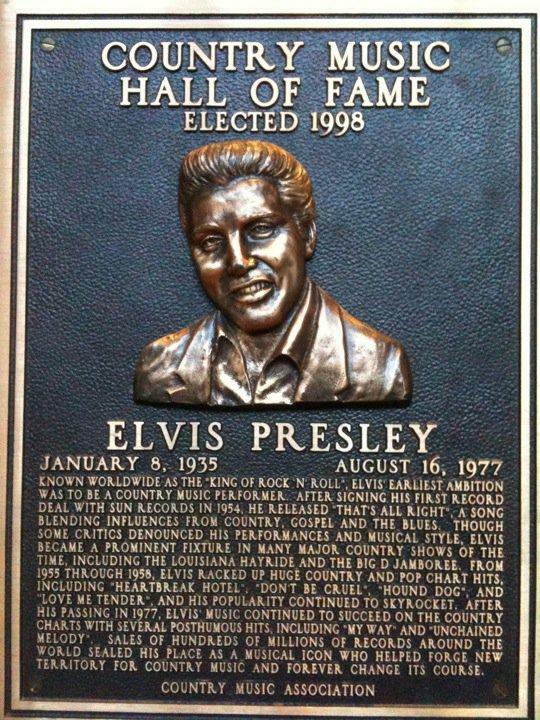 I spent most of my time at the Elvis exhibits and the actual Hall of Fame – where the inductees plaques are located. 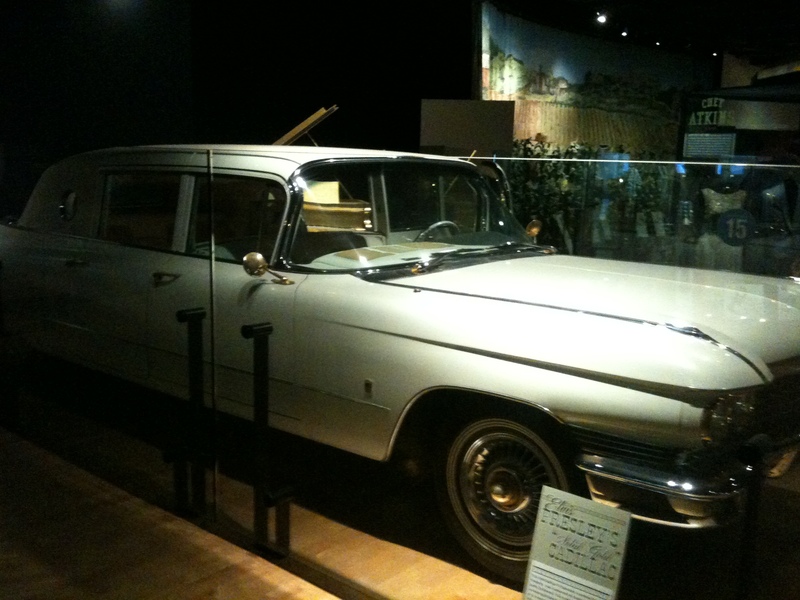 Elvis himself donated his gold cadillac by parking it in front of the old site of the Country Music Hall of Fame and handing the keys to the receptionist. 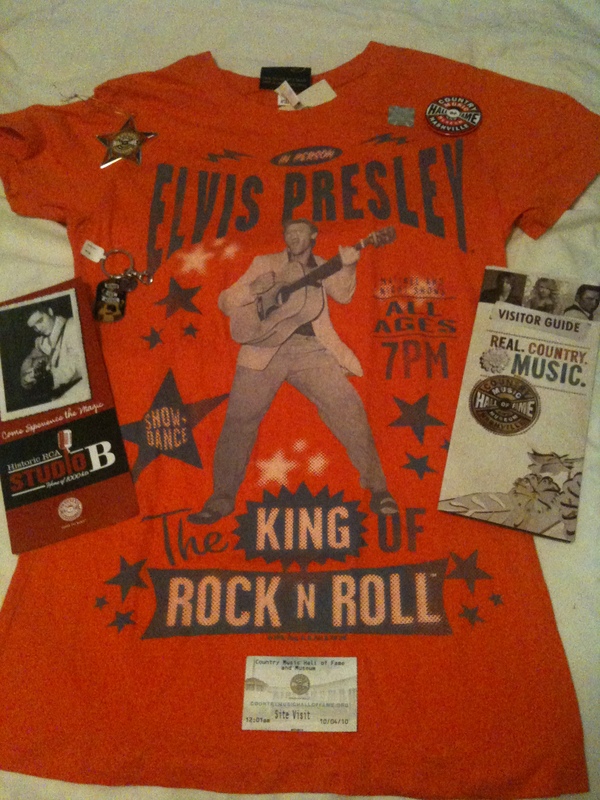 After touring the museum, I bought a few items at the gift shop and then at 10:30am got on the shuttle to RCA Studio B. We went down Music Row on 17th Avenue past all the recording studios. Studio B is the only one you can tour. It was a small studio, but a little bigger than Sun. Unfortunately, we could not go into Studio B because there was a class. 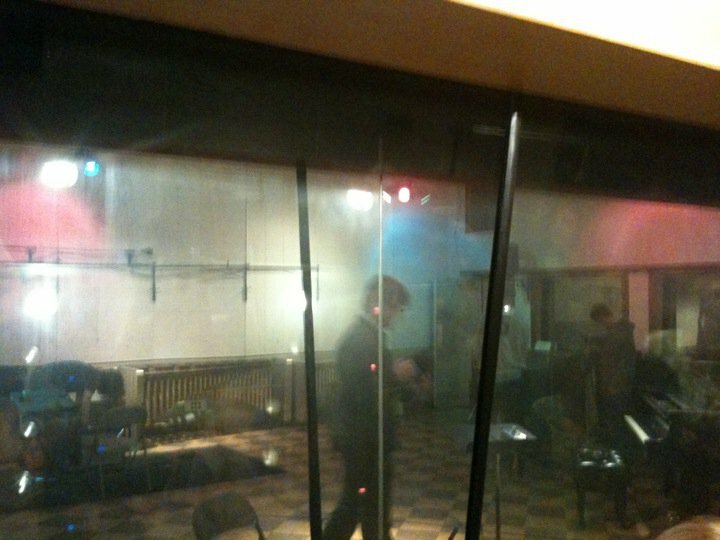 We got to look into Studio B through the glass, and I saw Elvis’ piano. We got to go into Studio D and the reception area. 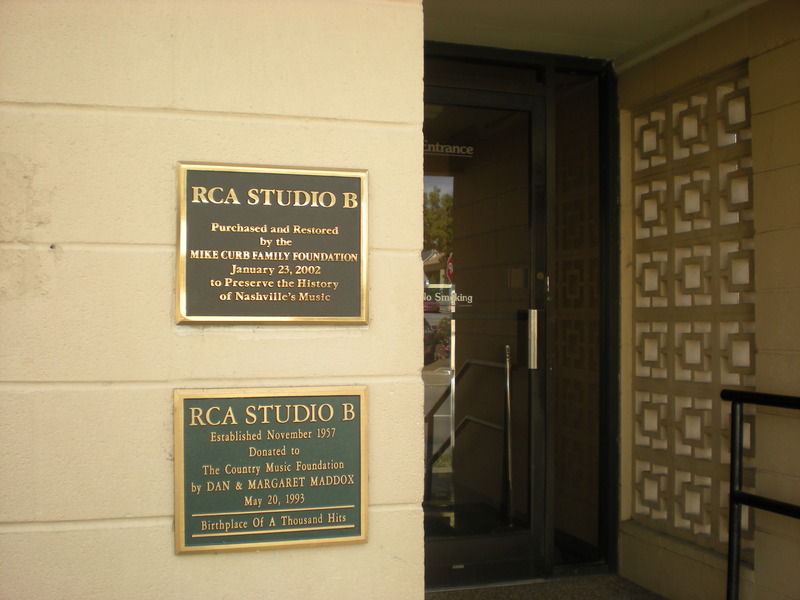 RCA Studio B closed on August 17, 1977 – the day after Elvis died. Our tour guide was fantastic! She pointed out the hotel where Elvis stayed while recording in Nashville. 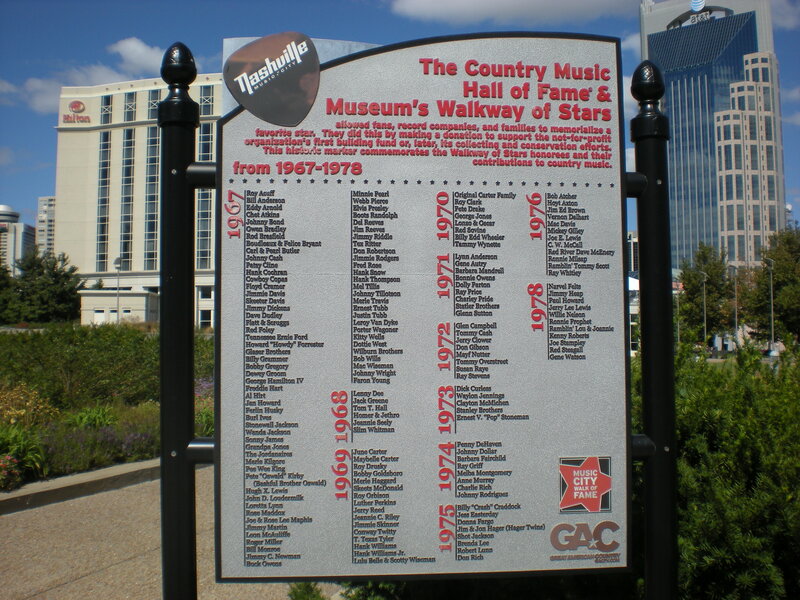 After RCA Studio B we went back to the Country Music Hall of Fame, and I had lunch at the 222 Grill. It was very nice, situated in the lobby with a guitarist playing. 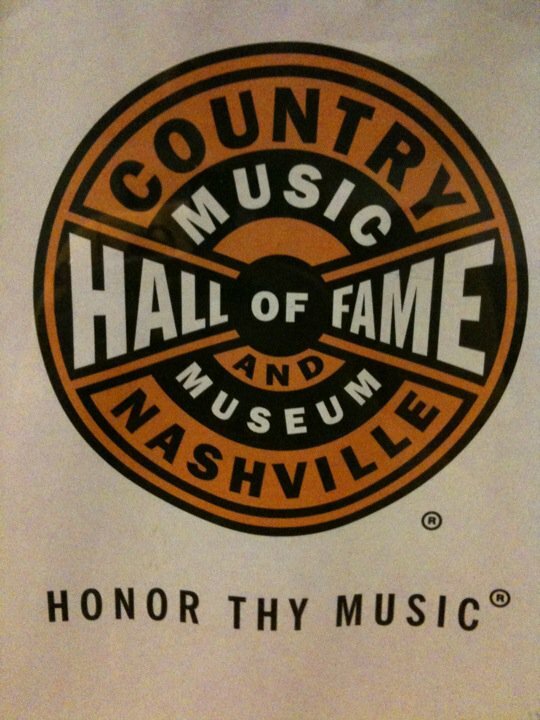 With my RCA Studio B ticket, I received 10% off my meal. I had a delicious fried green tomato and mozzarella cheese BLT (without the b) and sweet potato fried and of course sweet tea – about 4 glasses! It was so yummy and relaxing sitting there listening to the music and watching the people go by. 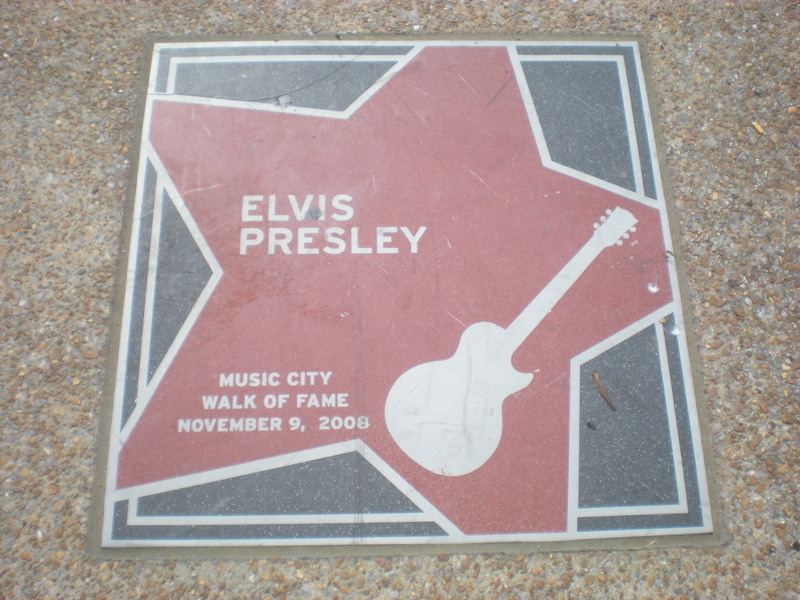 I had to make one more stop before leaving Nashville – the Walk of Fame in the park across the street from the museum. I had a wonderful birthday and birthday weekend in Nashville! I did everything I planned to do, which is very important when you’re a bit OCD, and it was as fun as I thought it would be. The highlight of my birthday weekend was watching my Denver Broncos defeat the Tennesee Titans! I have been blessed to always have great birthdays. 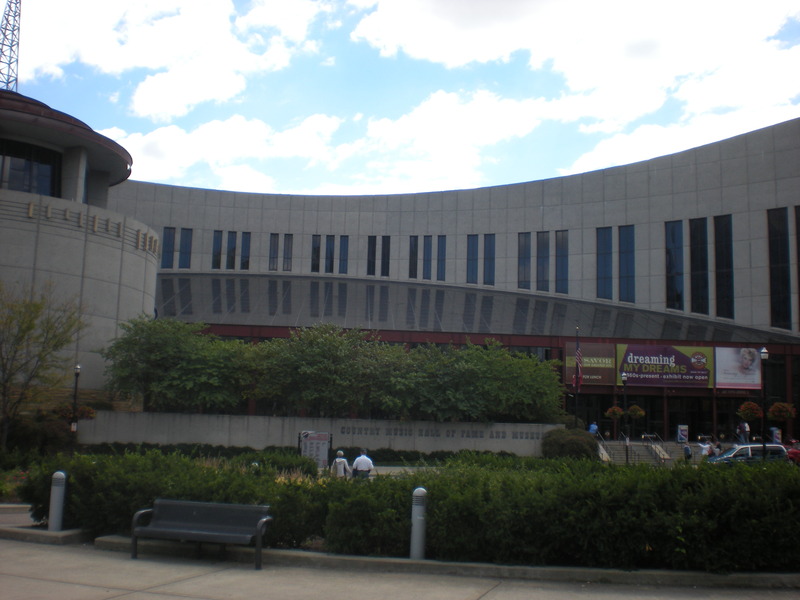 Last year I was in Raleigh visiting one of my closest friends and went to the U2 show the day before my birthday. And a few years ago I won $850. on the slots at Charlestown and then that night attended the Lisa Marie Presley concert and met her back stage after the show. I got her autograph and my picture with her. Life is good!